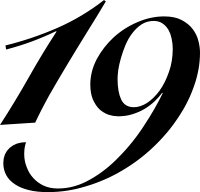 The number 19 in Biblical numerology is said to denote God’s Perfect Order. If you see changes happening swiftly after your prayers in the last days of this month of December, that means that there is something quickening in the Spiritual Realm preparing a way for you to move into your next path of your destiny in the Year 2019. Everything God does is deliberate. Sometimes the things you see happening right now may not make any sense to you at the moment, but you will become sensitive to the movements and changes happening around you that you will know that God is realigning somethings that are in your life for divine favor to take place. The whole point of this favour is to elevate you to a position where you will impact many lives around you to come back to the heart of the Father (GOD). Just like how the Lord elevated Joseph to be second in command to pharaoh as Zephenepeniah during a time where Famine had struck the land; God used that elevation in status to allow Joseph to be used to save his family from starvation in a time of Famine. When we think of “elevation”, we must NOT assume that the sole purpose of being elevated to another level is to simply be rewarded for our faithfulness by looking at it in terms of a mere “promotion”. Elevation is not just a promotion, it is a chance given to you to serve and be a steward for the King of kings who entrusts you with responsibilities that you did not otherwise have until you were elevated into that position. Luke 12:48 – 48 But he who did not know, yet committed things deserving of stripes, shall be beaten with few. For everyone to whom much is given, from him much will be required; and to whom much has been committed, of him they will ask the more. God’s purpose for ELEVATION is always for a much deeper cause rather than to simply reward you for your faithfulness. His expectation of us for whenever we receive Promotion, Divine Favour and Uncommon Favour is to change the hearts of those around you and to bring them back to the Heart of the Father. Those that are able to win souls are considered WISE by God’s standards. Ask yourself, what wisdom do you carry? The Year 2019 is about carrying out God’s Perfect Order by being willing vessels that will advance His cause. Isaiah prophesied that the land of Naphtali and Zebulon would someday see a shining beacon in their lands (Isaiah 9:1 – 2). This prophecy, which only the book of Matthew records as being fulfilled, came true during the life of Jesus. Matthew states, “The people who were sitting in darkness have seen a great light; and to those who were sitting in the realm and shadow of death, light has sprung up.” (Matthew 4:16, HBFV). The fulfillment of this prophecy related to 19 occurred when Christ, who had lived in Nazareth all his life, moved at the age of 30 to the Galilean city of Capernaum. Once in the city he started his ministry and began to preach the gospel (Matthew 4:14 – 17). Psalm number 19, written by King David, declares that the heavens and everything else humans see is a living testament to the existence, glory and power of God. The Apostle Paul reiterates this fact in verse 19 of Romans 1 when he writes, “Because that which may be known of God is manifest among them, for God has manifested it to them” (HBFV). In this story, the two servants that were able to multiply what was given to them by their master were rewarded with authority to steward cities in proportion to their faithfulness. The First servant who increased what was given to him, produced 10 minas/talents and showed it to his master. His master was very pleased with him and as a reward was given authority to steward 10 CITIES! The Second servant who increased what was given to him, produced 5 minas/talents and showed this to his master. His master was very pleased with him and gave him authority over 5 CITIES as a reward for his faithfulness. However, the last servant produced nothing because he buried his minas/talents in the ground and pretentiously claimed that he was doing this as a favor to his master, when in fact, he hated his master and did not want to multiply whatever the master had entrusted him with. In reflection of this story, I just want to say, that those in the workforce/marketplace, you may not always like the boss that you are under, but if you keep your integrity and work faithfully in your position, you will be promoted simply because you are considered trustworthy. However, on the other hand, if you behave like the servant that refused to help his master, you will not only lose what was given to you, but you will also lose your position in your company and will suffer for it. Your boss may not be the most amazing person to serve under but if they entrust you with a duty and you produce great results, you open the doors of elevation in your life. The story of the Talents is a principle that not many people seem to understand, and as a Christian, it is important to understand the principle of this story because it strongly relates to what blessing and favour you will receive from the Lord on the basis of our ability to remain faithful in whatever we are stewards over, especially for the Year 2019. From this verse of scripture, in light of what will be happening in 2019, the Lord will test our hearts in this manner by giving us “Talents” and will watch to see what we will do with these Talents that He has given us. Will we increase what is given to us or will we bury it in the ground? The choice is up to us to make. The Talents that the Lord gives may come in the form of money, a house, a car, a job position, a promotion, a role in a ministry, a gift that you already have, etc. Each person has a Talent that He or She must use to advance the cause of Jesus Christ. As an example, I can tell you that one of my gifts is writing, and hence, I take pleasure in Blogging to Glorify My God. I also can sing and have been involved in worship ministry by being part of the praise team or the choir of my church. These are just a few examples of how I am using my talents. Use what the Lord has given you naturally to advance His Kingdom. You don’t have to overthink this folks. A simple thing as being a greeter may seem like nothing to someone, and yet a greeter in a church (or wherever you are) can warm a souls heart to want to serve the Lord simply because they felt the love, warmth and sincerity of the person shaking their hands and wholeheartedly acknowledging their existence. No gift or talent is too small for the Lord to use for you to advance His cause which is the cause of Christ Jesus, so I don’t want people thinking that they have to do something “major” or “extravagant” in order to be perceived as being useful or meaningful to the Lord. The Lord has given us a measure of FAITH to use what we know how to do in order to advance His cause, so do what you know how to do, and simply do that well. When you do well with what you are good at, you will increase your gifts and talents and the Lord will Bless the works of your Hands. Deuteronomy 24:19 – When you are harvesting in your field and you overlook a sheaf, do not go back to get it. Leave it for the foreigner, the fatherless and the widow, so that the Lord your God may bless you in all the work of your hands. Deuteronomy 28:12 – The Lord will open the heavens, the storehouse of his bounty, to send rain on your land in season and to bless all the work of your hands. You will lend to many nations but will borrow from none. Whatever the Lord does to elevate you this year, it is for the sole purpose of bringing people back to the heart of the Father. He who wins souls is wise, so this year is about remembering the fact that whenever the Lord elevates you into a new position, it is for His divine purpose to win many souls back into His Kingdom. Never assume that the favor you have is simply to reward you for your faithfulness. The rewards we receive are just a part of the bigger picture. Yes, be thankful for what you receive, but don’t get too caught up in the gifts and yet forget His purpose for your life. We as Christ-Believers need to be the Salt of the Earth and the Light that shines in the Darkness that the darkness cannot comprehend (John 1:5), so that those that didn’t believe, will come to know the Lord and will return back to the heart of the Father. Genesis 50:20 – But as for you, you meant evil against me; but God meant it for good, in order to bring it about as it is this day, to save many people alive. God’s Perfect Order for the coming Year of 2019 will realign your destiny to be attached to the destinies of others for His purpose. Everything the Lord will do in 2019 will be intentional, directional, prophetical, and nothing short of miraculous. So in the mean time what do we do as we await 2019 to come? The simple answer is PRAY. Seek the Lords Face, Humble Yourself, and you will be a witness to God’s uncommon favour pouring out in your life this Coming year. Remember that the Favour you receive from the Lord, will come with great responsibilities.